Who is following Scout on his walk? 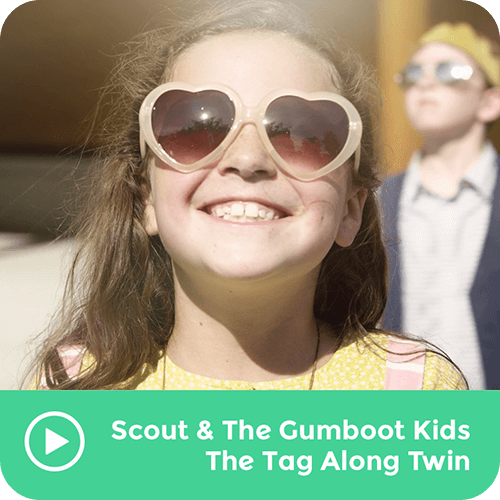 The clues: sunshine, sidewalk, Gumboot Kids. After you've cracked the case, take a Mindful Moment to observe and appreciate nature.